The recent bush fire events in Queensland have been referred to as “unprecedented” and even compared to South Australia’s Ash Wednesday. It is difficult to comprehend the intensity of this event but there is one thing that is certain. The actions of our fire fighters including volunteer rural fire brigades, paramedics and police is more deserving than the title of “heroic”. In times of need we all need to help each other, and Queensland’s track record in that area is proven! 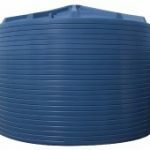 When returning to your property there are some things you need to do with your water tank. Nu-Tank has put together this post to help you. Please read, act & share. An event such as a bush fire puts large amounts of ash and debris into the atmosphere. Eventually these particles settle in areas such as your roof and guttering. If fire fighters were at your property, chances are firefighting foam residue will also exist. Disconnect the inlet pipes to your tank. This will avoid any possible contamination of your rainwater. When the weather conditions permit, clean your roof, guttering and rainwater strainer then reconnect down pipes to tank. We recommend the use of personal protection equipment such as gloves and a mask. If water via hose or rain does flow into your tank before you have a chance to disconnect or clean, your water maybe contaminated with ash or other substances. Empty your water tank once the threat of fires no longer exists or use this water on your gardens.